/ A celebration of Gaelscoileanna on Raidió na Life! A celebration of Gaelscoileanna on Raidió na Life! A new show ‘Mo Ghaelscoil’ will be broadcast on Raidió na Life between 21st November and 7th December. 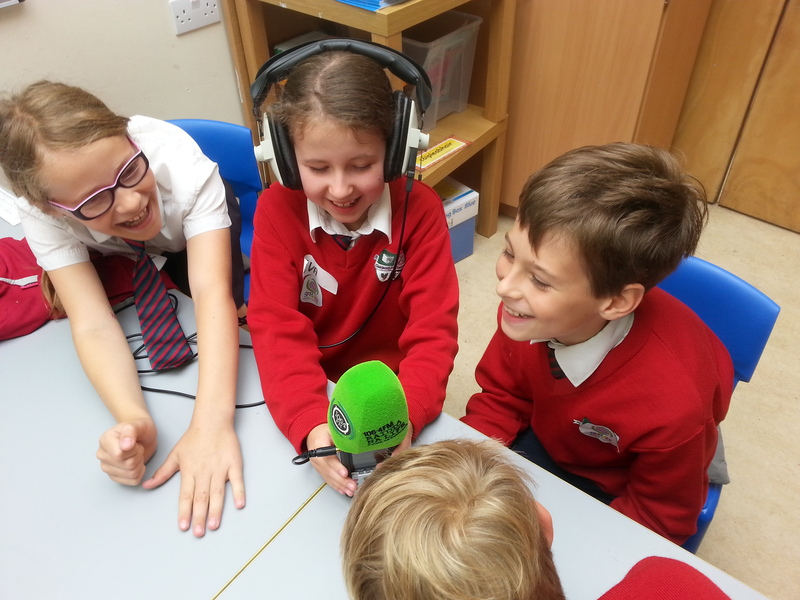 Two episodes will be broadcast every week on Wednesdays and Fridays at 11:00 a.m.
Over two years, Raidió na Life’s production team visited six gaelscoileanna around Dublin, running radio workshops and recording this lively programme. The children had the opportunity to learn new skills and the resulting series has given them a platform to tell the story of their gaelscoil in their own words. The gaelscoileanna that took part were Gaelscoil Bhaile Munna, Gaelscoil an Chuilinn, Gaelscoil Chluain Dolcáin, Gaelscoil Thaobh na Coille, Gaelscoil Lios na nÓg and Scoil Chaitlín Maude. Each gaelscoil put their own unique stamp on their episode, giving listeners a taste of the school atmosphere. With children interviewing their own teachers and the best of music and drama, this series highlights the vibrancy of gaelscoileanna in the capital, as well as showing the talent and imagination of the young generation! Judy-Meg Ní Chinnéide produced the programme and ran the radio workshops, along with Aonghus Ó Lochlainn and Pádraig Ó Conghaile. Judy-Meg Ní Chinnéide and Fearghal Saxe edited the programme. This series is funded by the Broadcasting Authority of Ireland with the Television License Fee. Foras na Gaeilge funds most of Raidió na Life’s work.